Another glorious morning in Bali – the weather has been just perfect! Fingers crossed it stays this way. Our breakfast this morning was Dejavu Kitchen – just down the road from Tekor (yesterday’s breakfast). 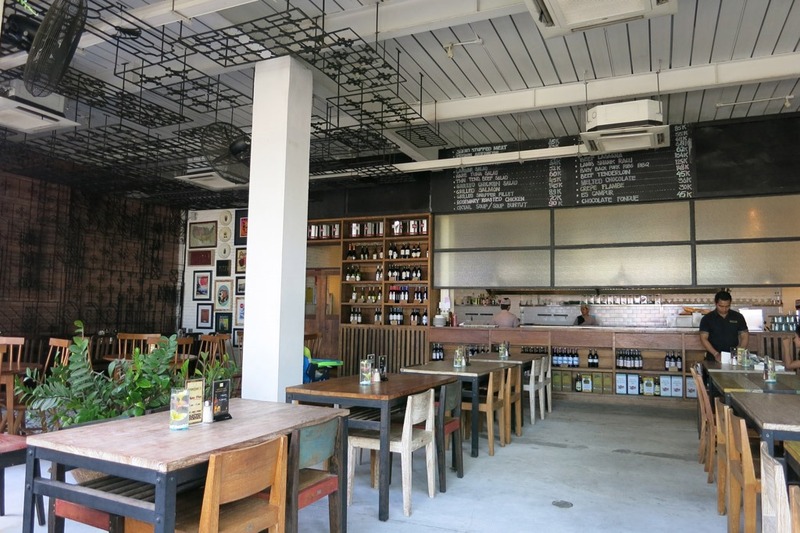 We decided that we would try to get to a different place each day for Breakfast – I mean when you are spoilt for choice like you are here in Bali who can blame you? 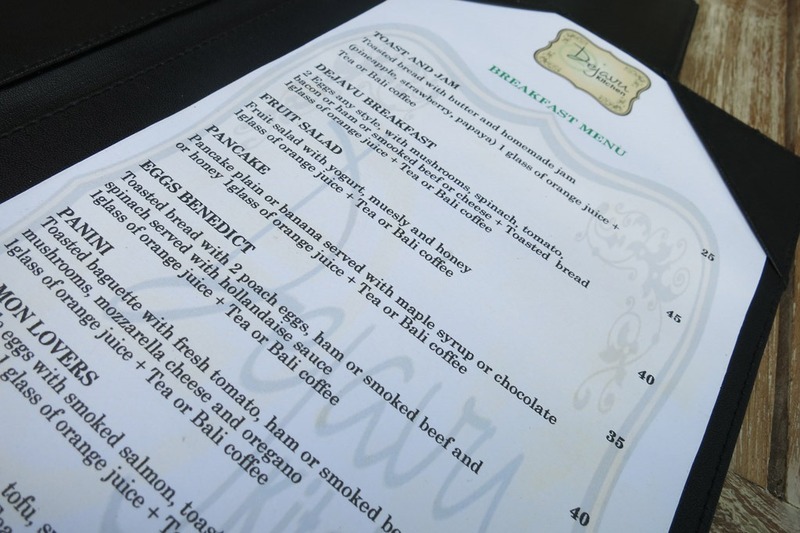 Prices were pretty reasonable, 45k for the Dejavu Breakfast which was plenty big enough for my appetite. 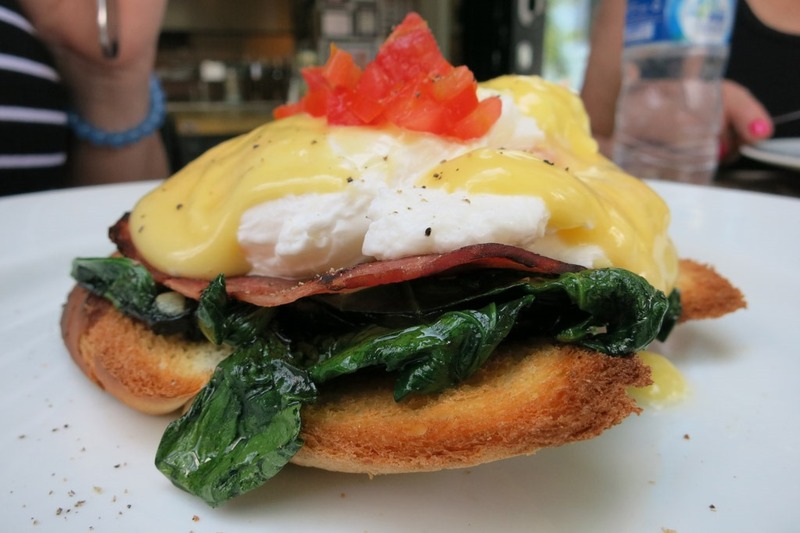 The ladies had the Eggs Benedict and commented that they were the best they had ever had! 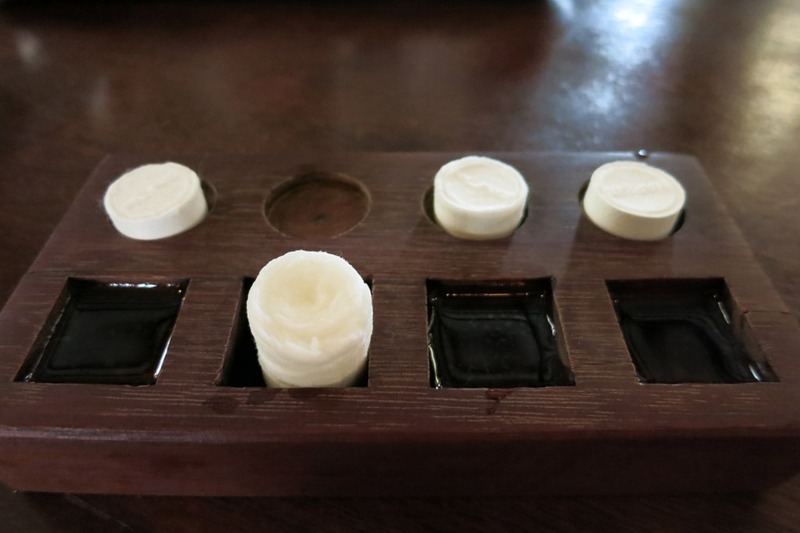 Service was really good – perhaps due to it being practically empty! We were pretty early, I felt bad for the staff – they hadn’t even got their morning deliveries yet. They came over to the table after we ordered and apologised that their staff member wasn’t back from the market yet with the eggs so we would have a few minutes wait! How is that for fresh food!!! The Eggs Benedict – did look quite nice. 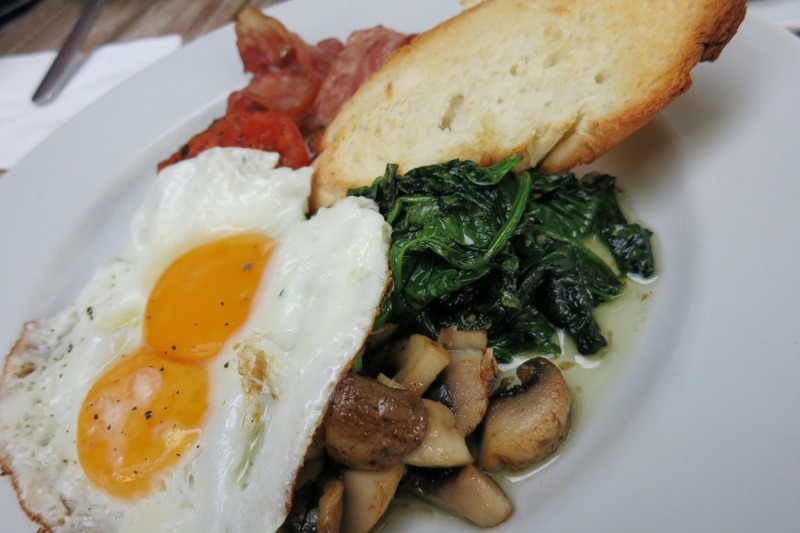 Dejavu Breakfast – more than enough, along with orange juice and Bali coffee – who would ask for more. After breakfast we jumped in a cab and headed down into the heartland of “KUTA” – we wanted to check out Matahari Kuta Square as well as the Bagus Watches there. Also gave us a chance to point out the overcommercialised Aussie bogan filled palace that is Kuta. 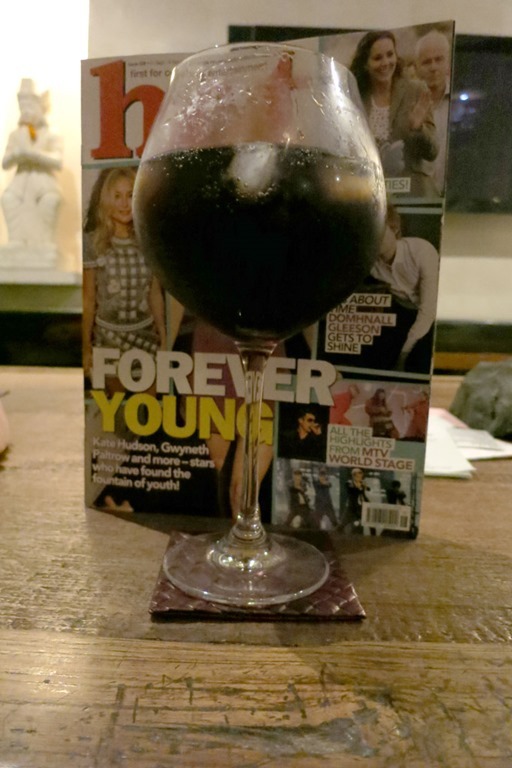 Sorry to those who love Kuta, it is just not our cup of tea (or bottle of Bintang if you prefer). We deposited a large amount of our IDR in Bagus Watches, this place sells really good quality watches – they are copies but “good” copies. My last watch from there is still going strong so I do like their quality. After a bit of retail therapy at Matahari – note: if you have never shopped at Matahari before it has the most wonderful payment system. You can’t just pick up an item and take it to the counter, you need to give it to a staff member who writes you out a ticket – you then take the ticket to the register to pay. Your products are then delivered to the register for you. I think it is partly to make sure that the staff members on the floor get the sales commission, however I also think it is designed to make sure they keep a few extra people employed! We jumped in a cab as our next destination was Biku up in Petingent. Jumping in a taxi in Bali is always good fun, always make sure you get in a BALI BLUEBIRD TAXI, ensure that it has that plastered across the windscreen – that is a 99% certain way to know you are not getting a dodgy operator who will try and rip you off. Today we nailed a great cab driver – Big Red! He was hilarious – Big Red enjoyed singing, infact he said he taught himself English by listening to Karaoke DVDs. Almost every song you could throw at him he knew, even really really old stuff. We could have driven around all day in the car listening to his singing – which I will credit him with – was pretty darn good! 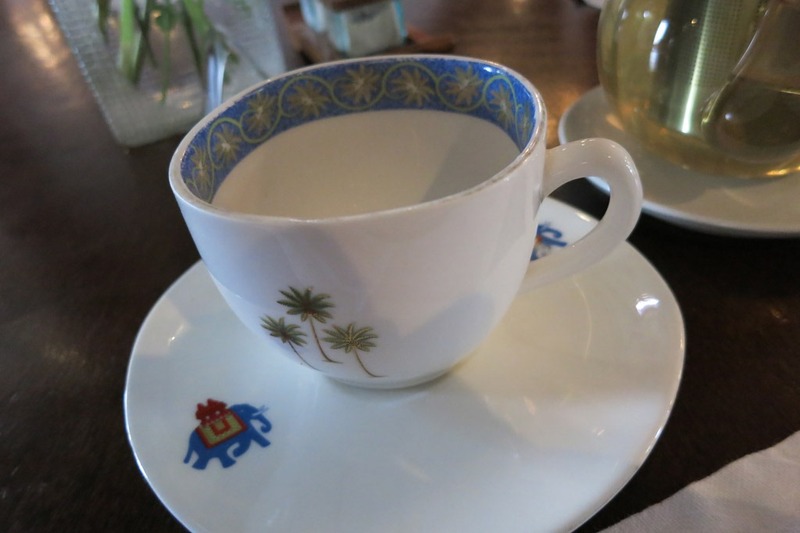 We arrived at Biku with one thing on our mind – HIGH TEA. This place is famous for their lovely high teas, they have two varieties to chose from the Western (Traditional) or an Asian styled. As there was 4 of us we tried one of each. The service is really nice and attentive; we paid about 195k IDR per couple and left totally stuffed with food! 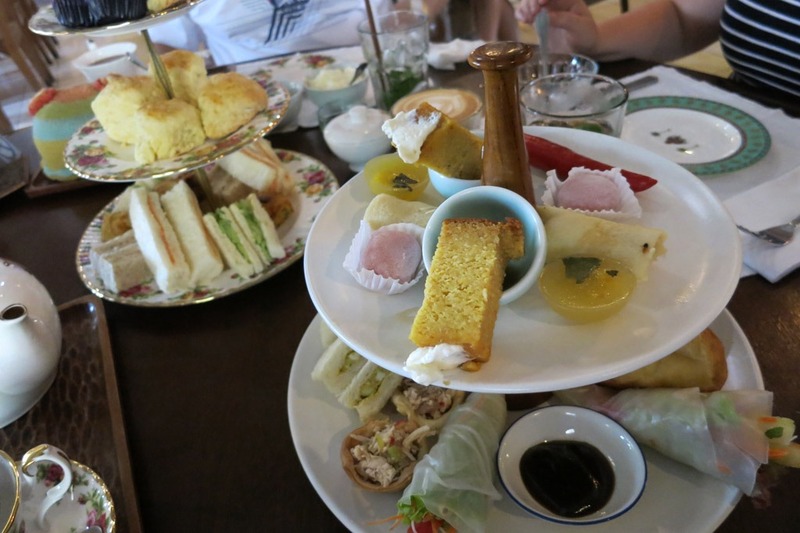 In the foreground is the Asian High Tea and the background the Traditional High Tea, amazing value for money. 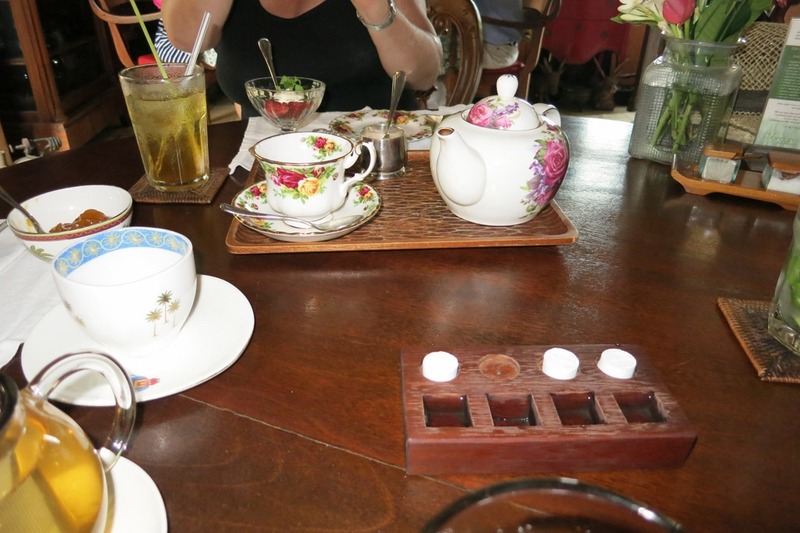 Portion size is just perfect – oh and the Tea selection is something to behold. The attention to detail is lovely as well, all the table settings were lovely and customised depending on the type of high tea you ordered, the Asian high tea had a more Asian theme to the table setting, whereas the traditional had a more classical styling – and that is about as detailed as my table decorating knowledge goes I am afraid! Not really news – but how awesome are these little hand towels, just drop the small little tablet thing in the water and presto a handtowel emerges….. it is the little things that keep us amused! After lunch we hopped in a cab back to the Villa (not as friendly a driver – oh well you win some you lose some!). We decided to try out the spa place out the front of the villa – now when I say out the front I literally mean out the front, walk out the front gate turn left and there is the shop about 2 steps away! And amazingly this is my first Bali Massage of the holiday, how have I lasted 2 days before my first massage? The name of the place is Sanda Spa – they are not the fanciest looking of places but the quality is good and the staff are friendly. Prices are also quite reasonable, I think from memory a 1 hour massage was about 80-90k. I have a sneaky feeling they will become our good friends! 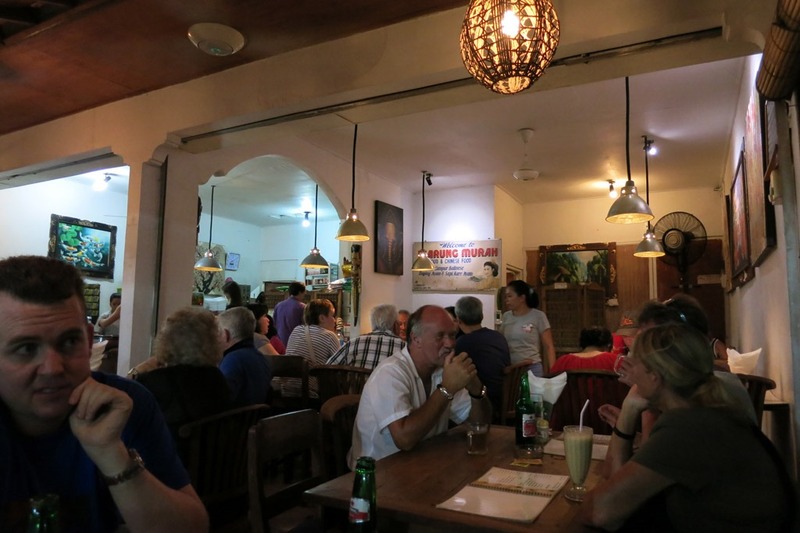 Dinner tonight was Warung Murah – a busy little place along Double Six, offering Indo Chinese cuisine. Can’t beat them for value, I also really loved the way they work out your bill – after you order your food and drinks you are given a small laminated card with the price of each item on it. At the end of the night, take the cards up to the counter and they will calculate the total. So handy and much easier to keep track of your costs! Sorry there are no pictures of the food – must really get better at that whole “photograph every meal you eat” thing. Total price for 4 people to have dinner and drinks was 230k. Back to the villa for some post-dinner drinks and a stop at the minimart for some icecream! 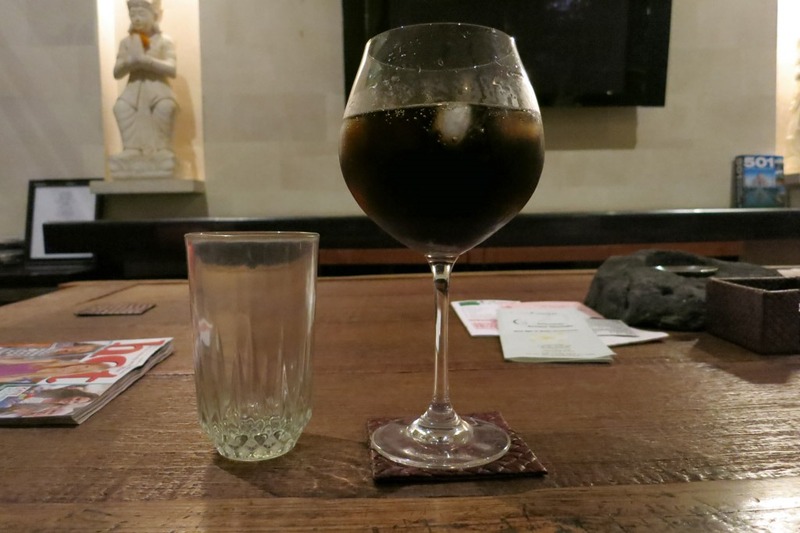 Now I will just add however – that as a post-dinner cocktail these are the size of the wine glasses at the villa – we have nicknamed this one Big Karl. Look at the poor little highball tumbler next to Big Karl! And here is big carl with a magazine! Can understand now how I got a little bit “happy” after 2 or 3 of these cocktails. Thanks for stopping by – see you tomorrow. I promise we might actually “do” something soon – but for the moment we are all just loving relaxing and enjoying Bali-Time. Thanks for checking out my travel blog – as always please feel free to let me know what you think of these posts by leaving a comment below. Again, this brings back so many memories. Warung Murah is so cheap and the villa has everything, especially the glassware :).